Yoga was kind of a guidance through our one year travel. We have been practicing yoga for several years now and during our trip, we were actively looking for the best yoga classes in each city or country we visited. It might seem as an easy job since nowadays you can find yoga everywhere. However, some locations are natural yoga gems and allow you to go back to the roots of the practice whereas others are more a western copy of what yoga intends to be. Moksha Yoga: After one year of traveling, we’re still happy to get back to our weekly yoga routine in Barcelona with Carmen. Her yoga is not just a mere copy of what yoga once was. No, it’s exactly what yoga stands for. Her classes last 1h15 and are quite challenging. She’s a master in yoga, adjusts you all the time and takes you to a higher level. Yoga Elements: Some of the toughest (and best) yoga classes we’ve had on the road! Classes last 1h30 and teachers are true experts. There are different yoga practices, for beginners to advanced levels. Very recommendable! 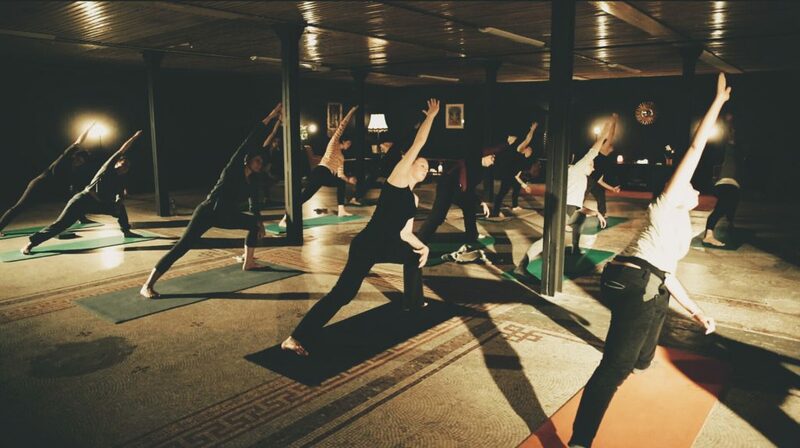 Power of Now Oasis: The most beautiful yoga venue we visited! 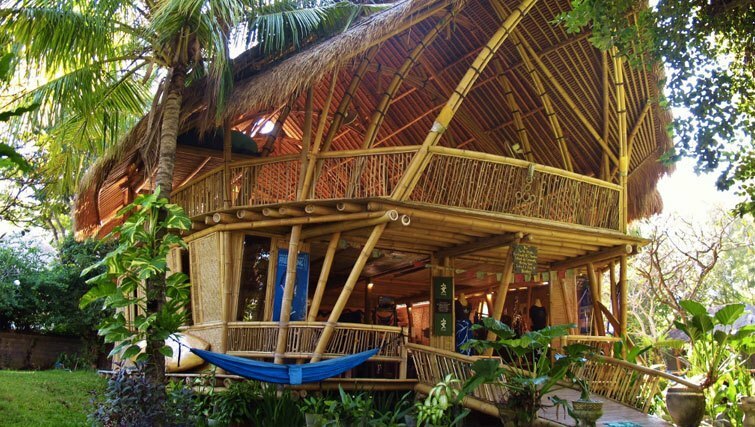 It’s located right on the beach in Sanur and is completely made of bamboo. Wonderful yoga teachers, they bring you back to what yoga really stands for. Their vinyasa and hatha yoga classes last 1h30 and are quite tough! Bikram Yoga San Ángel: Not our favourite yoga style but if you like to sweat and practise yoga at 40º with strict guidelines, then we do recommend this yoga centre. 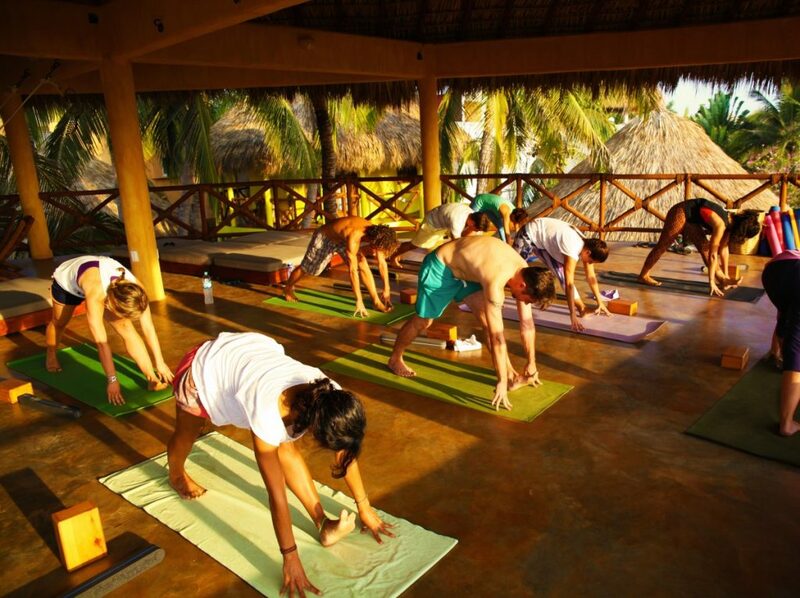 One Love Yoga: Located in One Love Hostal with great ocean views (you even hear the ocean’s waves during class). They offer daily classes, mostly power vinyasa/hatha. 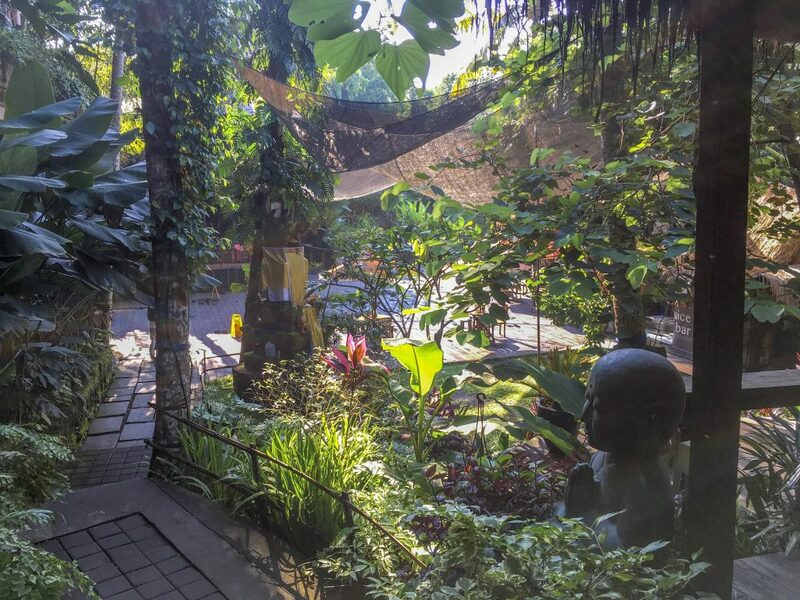 Yogabarn: Ubud is the spiritual hub of Bali with a large variety of yoga centers but the Yogabarn is one that you definitely have to check out when in Ubud! It’s a beautiful and huge property – almost feels like a village on its own – enclosed by nature. There are around 20 classes daily and most of them lasts for 90 minutes which allows you to get deep into the practice and meditation. Surya Yoga: We only took one class here but it was very promising and worth mentioning! 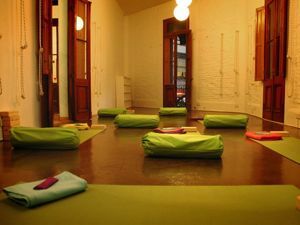 The vinyasa classes last 1h30 and are taught in English. It’s a very inspiring yoga studio, a big open space with just a few lights that make it cosy. Urban Lotus: Not only a yoga studio since they also offer pilates. We tried the hatha and ashtanga classes and liked the ashtanga with Delfina. Classes are very small (max 5 persons) so she takes time to adjust everyone. Prabha Raja Yoga Shala: Hatha & Vinyasa with Aidan. Very small classes, not too physical but Adrian makes adjustments if necessary and he even gives healing massages if you are injured. It’s easy to practice yoga on the road but you won’t experience high-level yoga everywhere you go. In general, we enjoyed a lot our yoga practice in Asia, especially in Bali and in Thailand. Both teachers and students seem to adopt a more advanced level. In Western countries yoga has very often developed into a physical exercise and students don’t care so much about the lifestyle that goes along with the yoga experience. So take time to investigate and try out several classes before you buy monthly passes. Namaste! Beach, surf & caipirinhas in Itacaré, Brazil.